'The Elephant Thief' is a great steal. Just to start of I'd like to say 'The Elephant Thief' has got to be one of my all-time favourite books now. The phrase 'you won't be able to put this book down' is often over used. However this is literally one of those books, after I got to halfway, I read the rest of the book within one night, as I was enthralled by the twists, turns and brilliance of this book. It is written superbly and constantly remains unpredictable. I think I could genuinely give it 10/10. I recommend it to all ages from 10 years and above, because not only was I captivated by it but so was my mum who started reading it. This further complements the expertise of the way this book was written. The book is set in 19th century Britain but it starts in Edinburgh. I feel that the themes of this book are trust and the value of friendship. Maybe the most significant example of this between Danny and Maharajah the elephant. Danny is the main character, although he goes through a series of names throughout the book: boy, Danny and Prince Dandip. He is an interesting character who is relatable on the fact that he feels alone, and solitary for the majority of the books. A street urchin from Edinburgh, under the control of the savage Frank Scatcherd. He is a mute but also an expert pickpocket, his inability to speak leads to it being hard for him to form proper friendships, on the other hand, he does prefer to work alone. He is summoned by Scatcherd who has often brutally punished boy, and is tasked with finding some stolen money. However he doesn't complete the job (but in a way unknowingly he does) and bags an elephant along the way, for an excitable zoo keeper, who offers him a job. So he embarks on a journey which will change his tide of fortune, he has the chance to spend his life with Maharajah, the tension of does he escape lasts throughout the whole book. As the story progresses, Danny becomes more trusting and develops his friendships, even putting his life on the line, and he even manages to find a pleasant surprise about himself towards the end. Alongside the majestic Maharajah a grand elephant, who will fall in love with instantly just as Danny did, and just as you will with the whole book. Just to prove that this book is brilliantly crafted, and that the attention to detail is sublime, I thought that I would describe the setting. The book is set in Victorian Britain and the reason why this is genius is because during this era, most people would never have seen an elephant before creating the sense of awe between the public and Prince, Dandip and Maharajah, and also in Danny when he first sets sight on Maharajah. It also would be an optimum time for zoos. Now that you have read this review, I would sincerely recommend you to read the book, so that you easily see how good it is. It was a very good, interesting and enjoyable book. My favourite part is when Danny realises that he is happy with the person he has become, very close to the ending. This shows Danny as a mature, sensible character. I would improve nothing. This is one of the best books that I have read. I would give it 5 stars out of 5 stars. When orphan Danny, a small street urchin, is taken to an auction by a criminal gangleader, he 'by mistake' helps Mrs Jameson, owner of Belle Vue Menagerie, buy the most magnificent beast that crossed the land, Maharajah. He is owned by a rival circus that is closing down. Danny is then swept into a journey of a lifetime. I really like this charming, rollocking book because it tells you a lot about the past and how wild animals at auctions were kept and handled. It also shows the lives of children on the street, and how they adapted to that lifestyle. I particularly liked this part where he, the elephant, was very stubborn and went in the complete wrong direction and ended up crashing through a marketplace. I believe it was very historical as it explained circuses in that time and how animals were kept and auctioned. I will definitely be reading more books like this in the future! I did not enjoy the book. Yes, I do think that the book was historic, because nowadays hardly anyone does pick-pocketing. It does make me want to read another book by this author because one of my friends ruined it. I really enjoyed this book because it included different cultures and many plot twists which made the book exciting. My favourite character was Danny because he had a very adventurous personality and he was a vivid thinker. My favourite part was near the beginning when Henrietta stuck her foot out to trip over Crimple. I don't think that the history in the book was very exciting since the only history was that the book was set in 1872 although it does make me think about the different technology and how important manners were to the people those days. The book makes me want to read more books by the author because I have never read a book by this author before and that the story has an intriguing plot. I did enjoy reading, 'The Elephant Thief', because it was very interesting and fun to read. It is different to the books I usually read in terms of how long the book is but I enjoyed every page of it. I don't think that there was enough history in the book, and that's the one thing I would say would improve it. The book did make me want to read more books by Jane Kerr, because I really like reading books from different authors. I really liked the main character of the book, which was Danny. He's on a big journey with his new job. I also feel sympathy for him because he was a pickpocket before and didn't really have a family or a proper home. He got kidnapped by the leader of one of Scotland's biggest criminal gangs. There are a lot of characters that are introduced throughout the story, which really engages me. 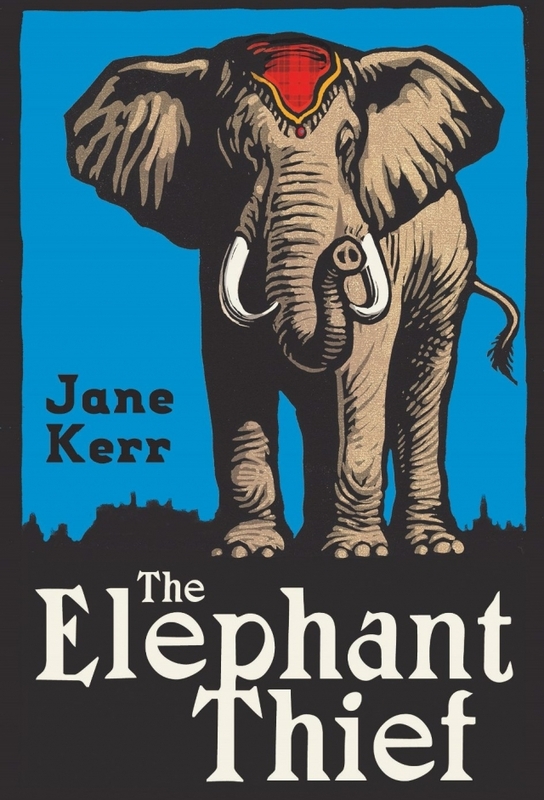 In conclusion, I really liked reading, 'The Elephant Thief', and in future will be reading more books by Jane Kerr .I usually don't read as much, but this book has now changed my interpretation of reading and want to read more books. It is about a street boy who doesn't speak. With a king of a gang after him he buys an elephant. He pretends to be a prince from india who knew the elephant since he was a baby. He gets the chance of a lifetime: to ride the elephant to Manchester. However the closest people trick him and he almost drowns. The elephant is put on trial and the whole country is watching. I would recommend this book to people who like adventure books. It was very believable in some parts, however it was a little unrealistic in others. Boy was a powerless character and was always being pushed around by others. I learnt a lot about elephants, people who live on the streets and the elephant race. It is not my favourite book and I would not choose to re-read it. However overall it was a moderately good book and in some parts was a page turner. Evan though it is set in the 1900s it felt fairly modern.